Orchards through the eyes of an artist celebrates the diversity of orchards in Britain through a collection of stunning new paintings from award winning wildlife artist Jonathan Latimer. Over a two year period the artist travelled across Britain in a bid to document orchards through the seasons, from fruit growing and animal husbandry to the rich diversity of wildlife and traditional industries, like cider and perry making, that orchards sustain. 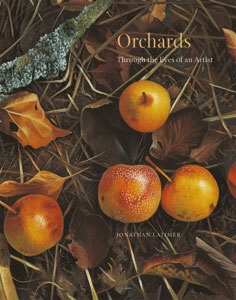 The book highlights the beauty and fragility of orchards.